When you walk into a running store, you're surrounded by walls of shoes. However, not every shoe on that wall is going to work for you and keep you healthy. What shoe you require is dictated by your biomechanics, with the primary determinant being how much you pronate, or how much your foot rolls inward when it is in contact with the ground. Pronation isn't inherently evil, as it's your foot's natural cushioning mechanism. However, overpronation, or excessive inward roll, can cause injury problems if left uncorrected. Many runners display some degree of overpronation, though the degree varies by runner. On the other side of the spectrum is supination, also called under-pronation, which is when the foot doesn't roll enough and is unable to adequately cushion itself, which can stress the foot. 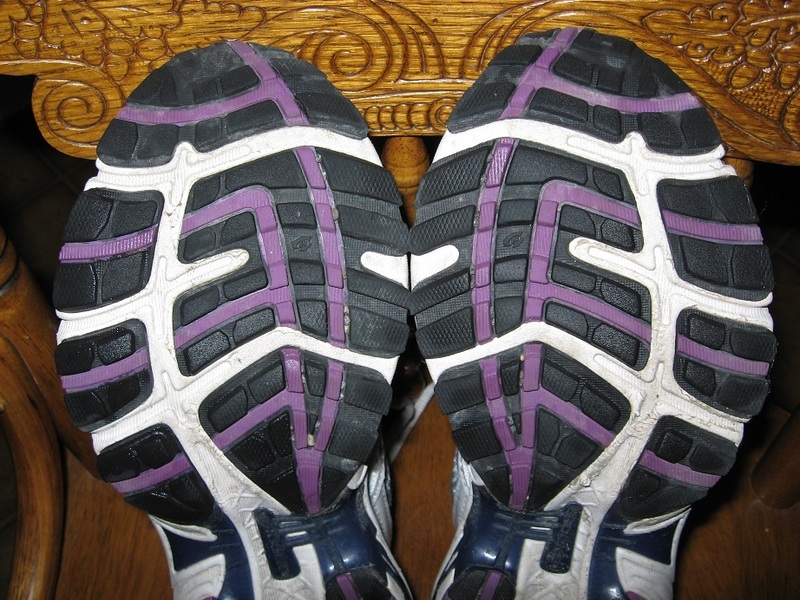 Actual supination is fairly uncommon, and only around 10% of runners supinate. Running shoes fall into three main categories: neutral, stability, and motion control. Neutral shoes are named as such because they have little to no stability features, though they do have good midsole cushioning. Neutral shoes are sometimes just called "cushioned shoes," though this name is misleading, since all three types of shoes provide cushioning. They are best suited for neutral pronators, who pronate ideally and need no stability features built into the shoe to control their foot motion, and for supinators, whose feet do not pronate enough to properly cushion their footstrike and require cushioning without stability features. Stability shoes usually have some type of medial post to provide stability, as well as good midsole cushioning. They are best suited for low to moderate overpronators, who could use some support to keep their foot from rolling inward too soon. The majority of runners do best in a stability shoe. Motion control shoes offer the greatest stability features, with higher density midsoles, extra medial support, and maximum heel counter control, and are often built on straight lasts with wide outsoles. They are best suited for severe overpronators or heavier moderate pronators. Other types of shoes (lightweight trainers, racing flats, etc) exist, but for the purposes of this post, only training shoes will be discussed (and flats and lightweight trainers fall into other categories anyway, e.g. Brooks T6 is a neutral flat while the Brooks Racer ST is a stability flat, and the Asics Speedstar is a neutral performance trainer while the Asics DS Trainer is a stability performance trainer). The gold standard of shoe fitting is going to a specialty running store and having them fit you for a shoe. This may involve the running store employees putting you on a treadmill and watching you run, watching you walk barefoot, or some other method of stride analysis, as well as discussing your injury history, what shoes you've used in the past, and other relevant information. I currently get all my gear from The National Running Center in Clarks Summit, PA, which has many knowledgeable employees who are more than happy to do a gait analysis and help you select the right shoe. No magazine or internet test can replace an in-person analysis with a shoe expert. Unfortunately, not everyone lives near a running store or has access to shoe geeks. Additionally, sometimes running stores make mistakes, and while I'd encourage you to go back to the store and describe your problems with the shoe they fit you with (this gives them a far better chance of getting it right the next time), it doesn't hurt to learn some things about shoe fitting in the mean time. The first test people are often told to perform is the wet footprint test. For this test, you want to fill a small tray with water, step in it to wet the bottom of your foot (the entire bottom of your foot, including your arch), and then step onto a newspaper or something else that will show the imprint. Don't just step on it and bring your foot back, because this will fail to tell you whether your arch collapses when weighted. Step onto it and then continue forward by taking a step with the other foot, as if walking over the newspaper. Make sure to perform this test with both feet, since one arch may be higher than the other. A flat foot will show your entire footprint. 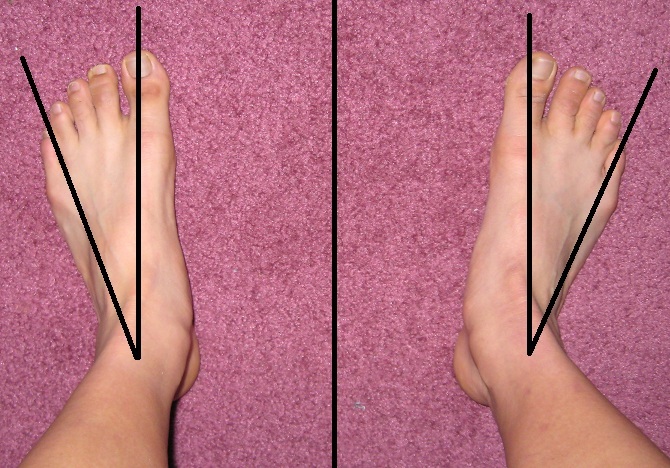 A normal arch will have a band connecting the balls of your toes and your heel. A high arch will have an extremely thin line connecting your toes and your heel. The lower your arch, the higher the chance that you need more stability. However, while this test begins to point us in the right direction, don't be fooled into thinking that your arch height tells the whole story. For example, it's possible to be a flat footed neutral runner. Here's a comparison I found via Google images from another blog (Jason and Kellie). Their picture, not mine. Unfortunately, I didn't have a newspaper handy, and had to do this on a paper towel, which bled a little. My arch heights are pretty medium, maybe a little on the medium-low side. When I actually do this correctly on paper that doesn't bleed all over, you can tell that my left arch is actually higher than my right (which you can also see on an x-ray). 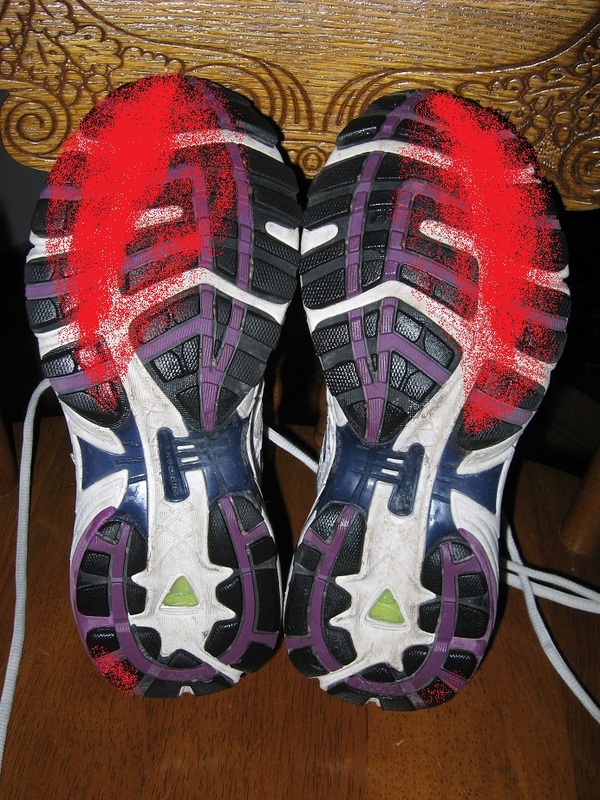 One of the big things that running shoe experts, physical therapists, and orthopedic surgeons all look at is the wear pattern on your current shoes. A supinator will wear along the lateral edge of their shoe, while an overpronator will roll over early, displaying wear along the medial side of their shoe. The closer to the heel the roll, the more severe the overpronation is. 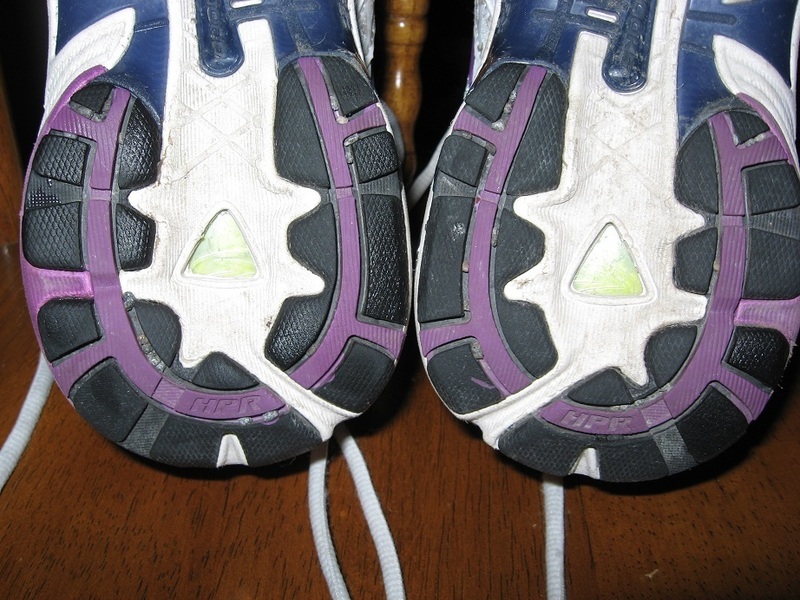 A neutral pronator will roll, but it will be a later roll, and wear will often be even across the forefoot. Again, this test is not definitive, especially if you use the shoes for walking, since sometimes severe overpronators will "teach" themselves to walk on the outside of their foot to reduce pain, which mimics the wear pattern of a supinator. Additionally, the type of shoe affects the wear pattern. A moderate overpronator in a motion control shoe may display a supinator's wear pattern. This does not mean that the moderate overpronator supinates and should be put into a neutral shoe, rather, it means that they are currently wearing too much shoe and should move down to a stability shoe. For example, a runner who exhibits lateral edge wear in a motion control shoe like the Brooks Beast should try a stability shoe like the Brooks Adrenaline rather than a neutral shoe like the Brooks Glycerin. Also, note that striking on the outside of the heel does not indicate a lateral wear pattern, since nearly all heel-strikers strike on the outside of their heel, and pronation doesn't occur until after initial impact. 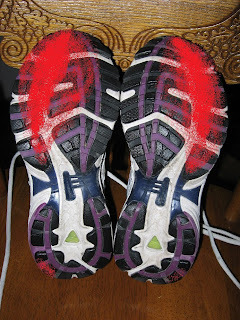 Wear pattern will also indicate whether the runner heel strikes or midfoot strikes. While I believe that too much emphasis is currently being put on midfoot striking, where you strike is still useful in picking out a shoe. A midfoot striker will need more midfoot cushioning than a heel striker, whereas a heel striker will want heel (and some midfoot) cushioning as well as a fast heel-toe transition. Some midfoot strikers may also prefer a lower heel-toe offset, though many will find that they still midfoot strike whether they're wearing a shoe with a 4mm offset or a 12mm offset. By the way, heel strike is not evil. Meb Keflezighi and Kara Goucher both heel strike, so apparently it does not make you slow. Also, 90% of runners are heel strikers, and I would bet that, with video analysis, the majority of the so-called midfoot strikers would find that they actually heel strike, or that they are forcing themselves into an unnatural stride, and upon becoming fatigued, will revert back to their natural heel strike. I have read in numerous places that the surest way to get injured is to mess with your natural stride. I have also heard that your body figures out the most efficient way to run on its own. Your body is smarter than your brain. Give it credit. Alright, rant over. I highlighted my wear pattern in the whole shoe picture in red since it's a little tough to see, where denser areas indicate more wear (I did this while holding the shoe, so it's more accurate than any of the pictures, where the flash obscured what's actually happening). I tried blowing up the forefoot picture, but it's still really hard to see. My right foot pronates more than my left foot, though both shoes show wear along the lateral edge before rolling onto the middle of the forefoot. Additionally, my right foot heel strikes more than my left foot. The slight heel wear is actually caused by a stride that touches the ground heel-first, but does not actually weight bear until the midfoot has also touched the ground (call it what you want, I just call it my natural stride that doesn't want to be messed with). This is the Brooks Defyance, so it's considered a neutral shoe, though there is a plastic plate in the midfoot to provide some measure of stability. These shoes have been used almost exclusively for running. A third test that's easy to perform at home is the one legged squat test. This test is best performed barefoot or in very minimal shoes that have absolutely no stability features. In this test, you lift one foot off the ground and squat with the other, observing where your knee tracks in comparison to your foot. If you need, you can gently touch a wall for balance, but do not lean on the wall or change your center of balance. You want the leg being tested to bear 100% of your weight. If your knee tracks directly over your foot, it's likely that your biomechanics are neutral. If your knee rotates inward, such that a line from your hip to your knee eventually crosses over the inside line of your foot, you may overpronate. If your knee rotates outward, such that a line from your hip to your knee eventually crosses over the outside line of your foot, you may supinate. Again, this test only shows part of the picture. For example, a neutral pronator may still rotate slightly inward, since their foot eventually does roll. Finally, it has to be understood that this isn't totally the same as the running motion, and there is a possibility that your foot motion may be slightly different running than squatting. My right knee rotates far more inward than my left knee, which rolls inward very slightly, but nearly makes a straight line from my hip to my ankle. In the bottom picture, it's more evident that my left knee does roll (if it were 100% neutral, the arrow would not eventually cross the straight line). Another factor that can be checked is the alignment of your legs. This test absolutely needs to be done barefoot because shoes will get in the way. With your legs together, if you can fit two fingers between your knees and your knees are outside a straight line drawn from your ankles to your knees, you are considered bow-legged, which can lead to supination. 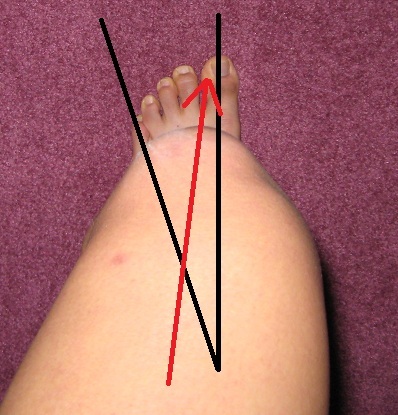 If the space between your knees and ankles is the same and a straight line can be drawn from your hips to your knees, you have straight legs. If you can fit two fingers between your ankles and your knees are inside a straight line drawn from your ankle to your knees, you are knock-kneed, which contributes to overpronation. Your foot angle can also have an influence on your stride. Having splayed feet (duck footed) will predispose you to overpronation, while having your feet pointed inward (pigeon toed) contributes to supination. A normal foot angle sets your feet in a slight V-position. Note that leg and foot alignment contribute to, but do not singlehandedly determine, your pronation level. As you can see, I'm slightly bow-legged and have a normal foot angle. Another factor to consider is weight. The lighter you are, the less you'll compress the foam, and the less stability features you'll need to control your pronation. A 110lb girl will generally need less shoe than a 250lb man, assuming they both have the same level of pronation. Assuming they are both severe overpronators, the 250lb man will probably need a motion control shoe like the Saucony Stabil, whereas the 110lb girl may be happier in a stability shoe like the Saucony Omni. If you have access to a treadmill and video camera, you can actually watch your level of pronation as you run. Set the video camera behind the belt and set the treadmill at a normal running pace. Watching the video in slow motion will determine how much you pronate. According to the RunnersWorldTV videos, a 15 degree inward roll is considered normal. More than 15 degrees is overpronation, and less than 15 degrees is underpronation. The video for normal pronation can be viewed here, for overpronation can be viewed here, and for underpronation can be viewed here. This is the best way to analyze your stride, assuming you know what to look for. However, there still may be some distortion since you are running over a moving surface rather than the stationary ground. This post is not meant to replace the shoe experts at your local running store. Please, PLEASE do not go into the store, and when they fit you in a motion control shoe, insist that you're a neutral runner because "the internet said so." Especially if you go to one of the stores where I have friends working and decide to quote my blog. Then I'll be embarrassed. Sometimes the shoe experts can see something you can't. That's what they're trained for, and chances are they don't go into your office and tell you that you're doing your job wrong. 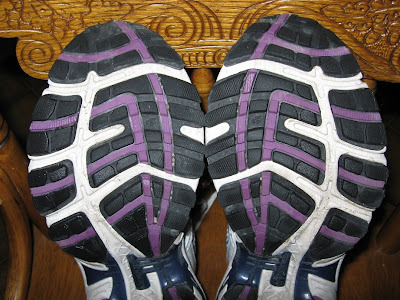 However, I do hope that this post was informative and shed some light on the mysteries of choosing the right shoe, as well as why the running store employees recommend that you wear a certain shoe, and why it's a bad idea to wear the wrong shoe. Special thanks to Mizuno's Precision Fit for ideas on how to draw lines on my pictures. This is a fantastic, informative post. Thanks! Thanks Laura! Glad to hear it was useful! Very good explanation! Thank you so much for taking the time to do all this! Thanks Mike! The running community has done a lot for me, so I do my best to contribute as best I can. It never hurts to have informed runners! There is some really interesting information here. I suffered from a terrible calf injury injury until I got advice and got properly fitted for running shoes at a proper sports store. I really think it is worth the extra time to get fitted. Thanks for stopping by, Neil! Unfortunately, I wrote this post a looong time ago, and while I don't disagree with the things I posted, I have learned quite a bit in the last year and a half and think I'm missing quite a few pieces of the puzzle. I have a few newer posts on pronation, but really, the more I learn, the more I think you need to actually take classes on it to really understand what's going on rather than just picking up snippets from an internet post (which is why I've stuck to reviews lately). But it seems that you got the big picture right...which is to get fitted at a store! Good luck! I hope you don't mind me posting this link here but it is quite well written. my 'bowleggedness' looks very similar to the photo shown above, and I wear custom insoles with cushioned neutral shoes and this has been fine since then. However im currently awaiting entrance into the armed forces and im concerned about my biomechanics and the long runs with weight that i would undergo during training. Anyone with insight on this matter? If you've been fine with custom insoles and cushioned neutral shoes, I wouldn't worry about it, because my guess is you'll be fine. Good luck!